Sam Vokes’s second-half double denied West Brom a first away victory of 2017 and earned Burnley a 2-2 draw that edged them closer to confirming their Premier League survival. 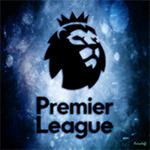 After a forgettable first half, Vokes’ 56th-minute opener ignited proceedings at Turf Moor, with the Baggies scoring twice in 12 minutes through Salomon Rondon and Craig Dawson having previously gone nearly nine hours without a goal. Yet a first victory on their travels since New Year’s Eve eluded them as Vokes capitalised on Ben Foster’s poor decision to come for a free-kick as he levelled with four minutes remaining, taking the Clarets to 40 points, which will be enough to secure survival if Swansea fail to beat Everton later today. Injuries to Ben Mee and Michael Keane meant Burnley had to deploy an inexperienced centre-back pairing of James Tarkowski and Kevin Long.Yet the pair were scarcely tested in the opening half as the Clarets registered the only two opportunities of note. George Boyd created the first with a left-wing cross that was met by a near-post Vokes volley that deflected off Gareth McAuley and was kept out by Foster’s leg. Boyd was involved in the move for the other chance too, as were Vokes and Ashley Barnes, the latter feeding Scott Arfield, who bore down on goal before seeing his shot stopped by James McClean’s terrific sliding intervention. The hosts had an even better opportunity early in the second period as an unmarked Tarkowski met Arfield’s corner only for his bullet header to clear the crossbar. Baggies boss Tony Pulis withdrew Jonny Evans shortly after, possibly due to a first-half foot injury, and five minutes later Burnley went ahead. Jake Livermore was hanging on to Barnes’s back as the two entered the box and tumbled down, with the assistant flagging for a penalty, yet referee Mike Jones allowed play to continue and Barnes had the foresight to cross for Vokes to sweep a first-time finish beyond Foster. The official deserved credit for hanging fire when it came to the awarding of any decision while Barnes’s vision to get off the turf and swing a cross in was also admirable. The visiting side had offered little attacking threat as they edged towards the nine-hour mark without a goal, yet all that changed 10 minutes after Vokes’s opener as Dawson reached Chris Brunt’s corner and the ball looped on to the crossbar. West Brom eventually reworked the ball out to the left flank, where Matt Lowton was caught out by McClean and neither Long nor Tarkowski could prevent his cross reaching Rondon, who fired in his first goal since December. Tarkowski tried to redeem himself with a stinging volley that he fired into Marc Wilson’s arm, but he would be caught out 12 minutes from time. The visitors earned a corner when Livermore’s effort was deflected over and from Brunt’s corner, Dawson lost Tarkowski, heading against Barnes’ chest, with the ball then going in off the post for West Brom’s 15th set-piece goal of the season. 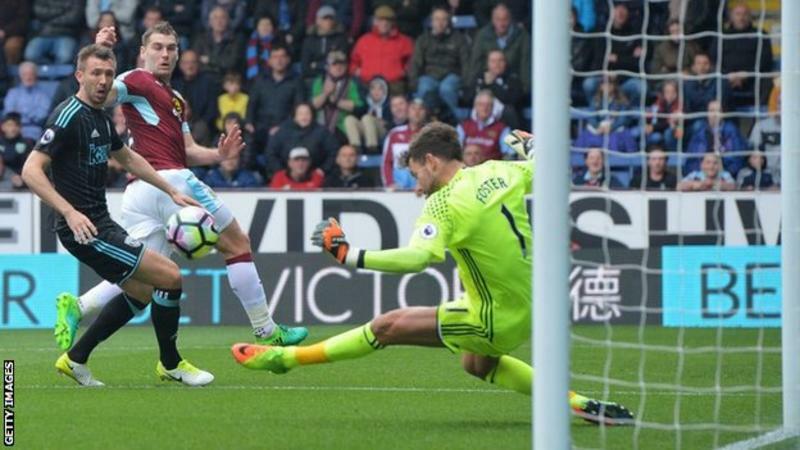 It was another dead-ball situation which would see Burnley claim a share of the spoils. Foster rushed out to try and collect substitute Robbie Brady’s chipped free-kick but was unable to reach it before Vokes, who flicked a header past him to make it 2-2.